FacultyBox is a brand new emerging career website for the job market in India that specifically caters to the needs of employers and aspiring jobseekers in the field of education. FacultyBox is much more than online job classifieds portal. We believe that a good job site should offer an interactive platform for job seekers and recruiters with the objective of improving the process for both sides. FacultyBox is here to make the hiring process easier than ever before. Our cutting-edge, proven technology and interactive application tool forms the basis of a professional, easy and transparent process for the recruiters and candidates. 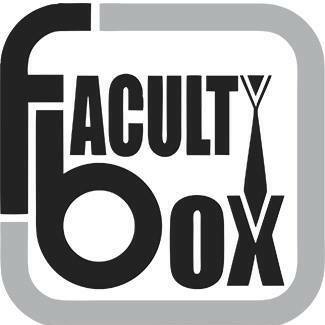 At FacultyBox, we work for a main purpose of creating a transparent platform for professional faculties and renowned education institutes to come on single platform and experience a well organized hassle-free recruitment environment. The mutual satisfaction of Faculty and Educational Institute is extremely meaningful for the individual and society. As this industry creates the future of many and personifies the vision of Padehga India, tabhi to Badhega India; the work we do at is so meaningful. If we excel in matching the right people with the right jobs, we make a huge difference in the quality of lives of millions including student, faculties and their families too.